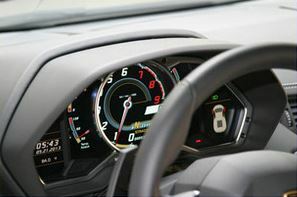 Lamborghini - Model Motorcars, Ltd. 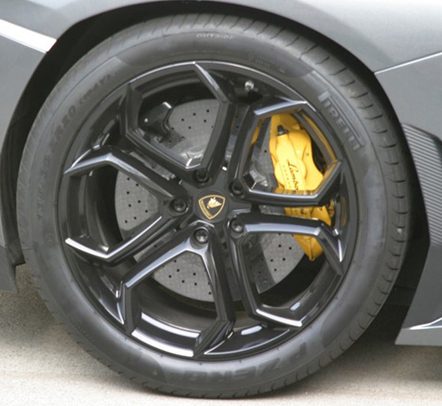 Following up on the release of our replacement tires for the Lamborghini Aventador Coupe, we are very excited to release our replacement tires for Pocher Aventador Roadster. 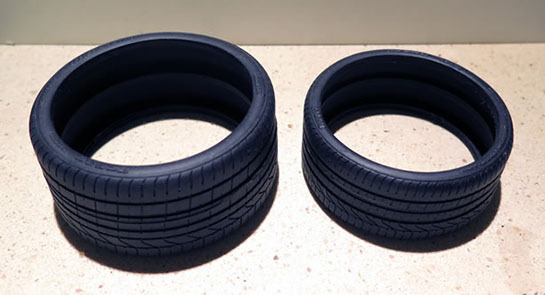 Our tires are flexible so you don’t have to heat them, they have the right feel, the perfect color and… just as with the tires on the prototype, they deflate under the weight of the model. 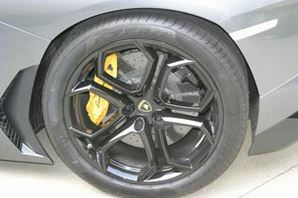 Our tires fit the rims that come with your kit and are an excellent addition to your Lamborghini build. They are sure to give it an even greater level of detail and realism and we know you are going to be thrilled with the results. 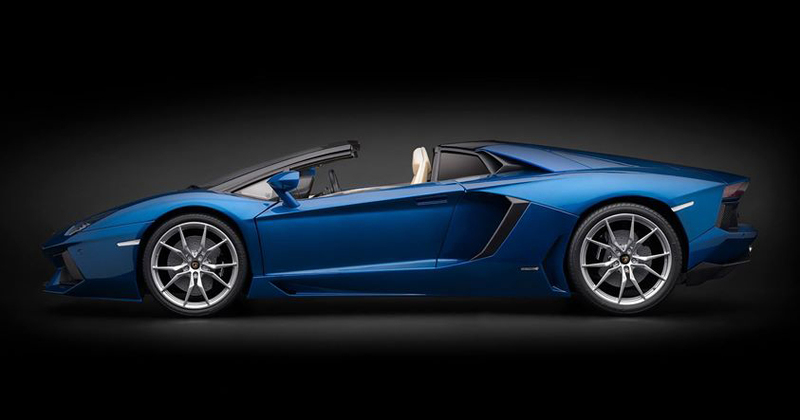 Pocher has announced the new 1:8 scale Lamborghini Aventador Roadster Kit in metallic blue and metallic white, as well as a new color for the Coupe; matte black! 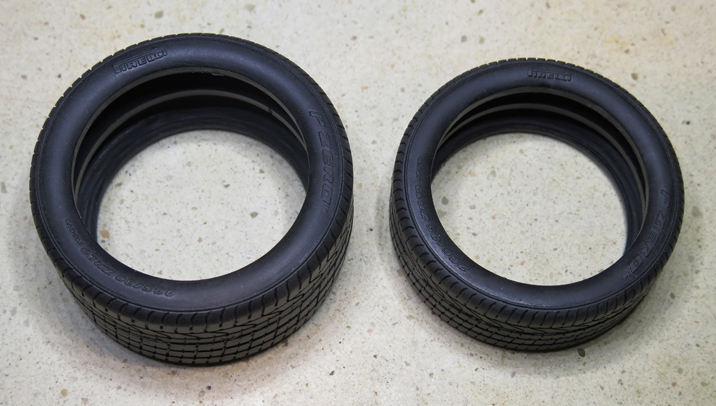 Stay tuned to our site because we will be announcing tires for these new roadster kits soon. 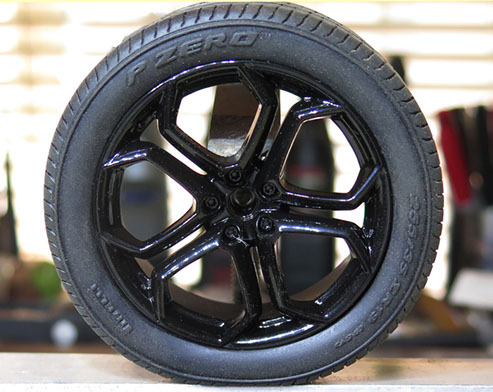 As we have built new Replacement Tires for all the Pocher marquees: it was only natural we would build them for the new Pocher Lamborghini Kit. They are flexible (no need to heat! 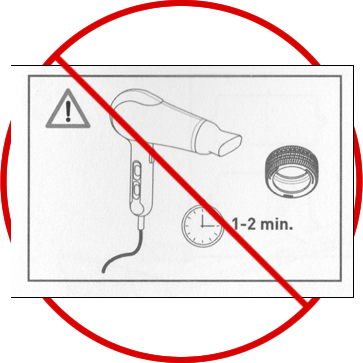 See instruction photo from the Kit manual below), the right feel, color and…as the photo above shows they deflate. The secret was in the rib we built into the Tire. We were concerned the weight would squish the Tire, but, the rib holds them perfectly. When a new raging bull conies out of Sant'Agata Bolognese, Bologna that's a big deal. 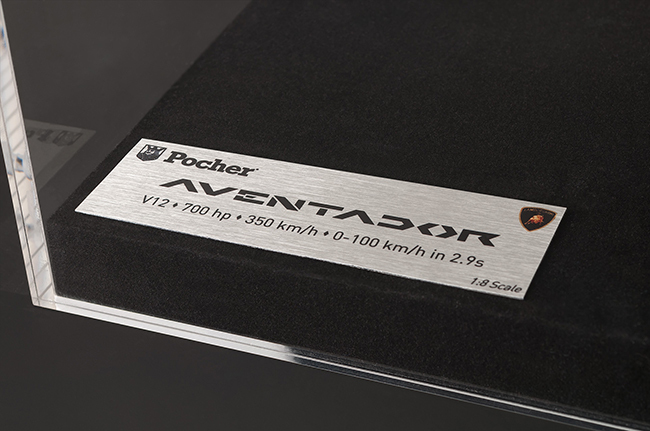 And when a new Pocher model comes out, well... that's a real!,' big deal. 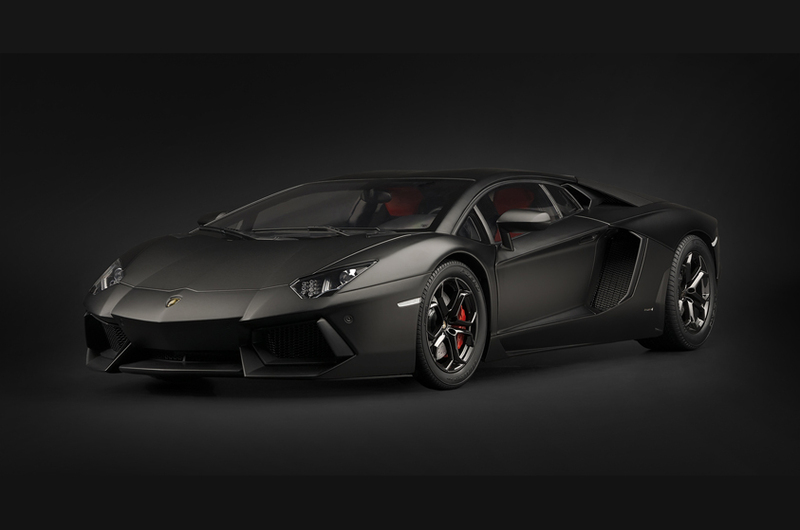 And in 2013, the world was treated to both in the form of the Lamborghini Aventador LP 700-4. 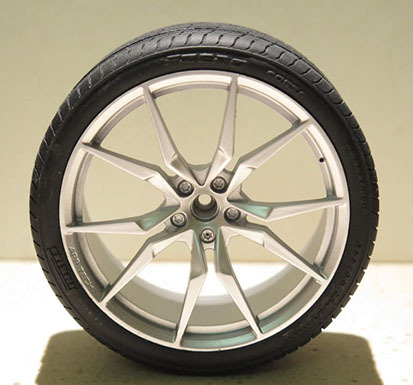 Both the road-going model and the Pocher are rare, beautiful and exciting from every perspective. 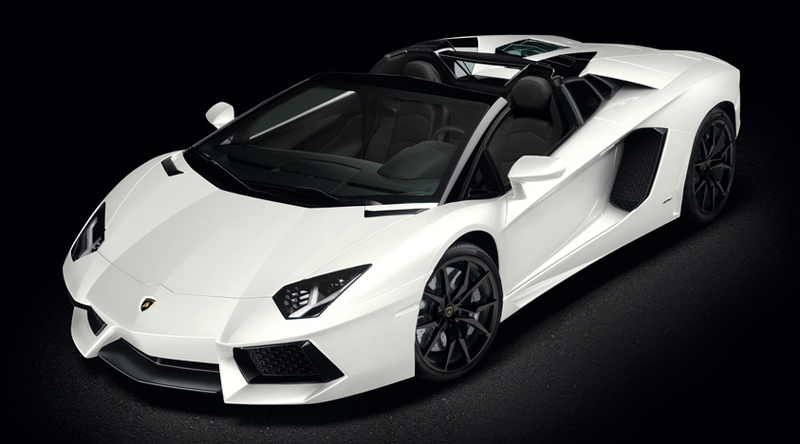 And this Aventador Reference Photo CD by Model Motorcars brings you every perspective in hi-resolution detail with hundreds of interior, exterior, engine and detail photos. 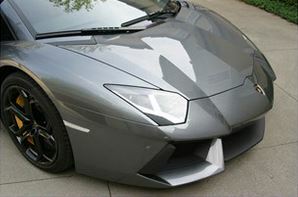 From the LED headlights glowing up front to that 700 horsepower beast growling in the back, this CD is guaranteed to to provide you unique and invaluable views of the prototype that you can refer to as you build your own Pother Aventador. 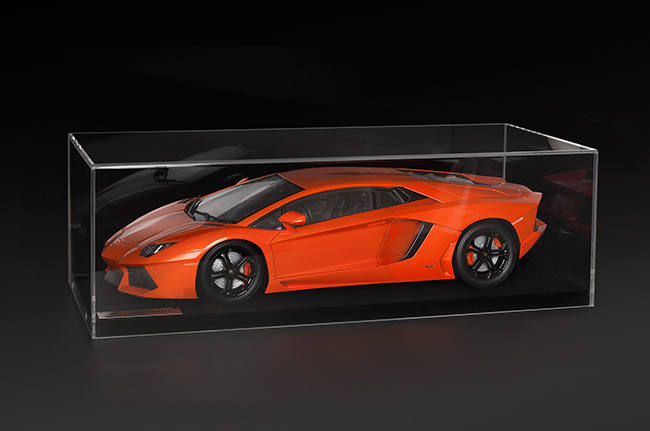 Premium-quality showcase, specially designed to present and protect your Pocher Lamborghini Aventador 1:8 model kit. 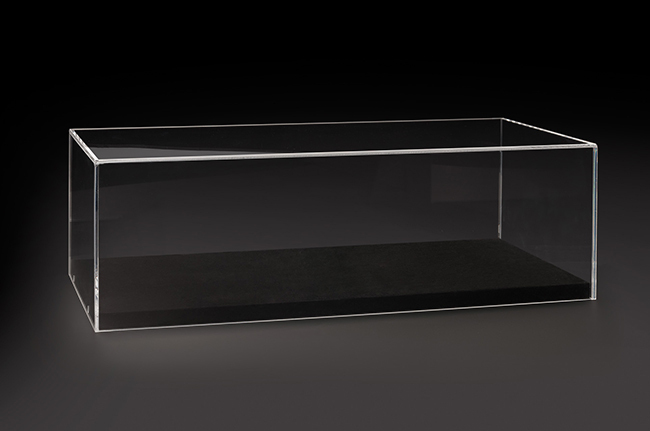 The case is made of highly transparent acrylic glass of 5 mm thickness and the black wooden base is fully velvet flocked. 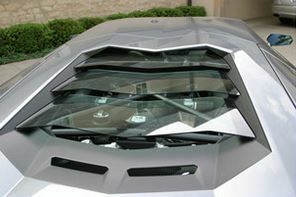 The showcase also features holes and screws to fix the Lamborghini Aventador kit on its base. Car and plate not included in the showcase. The metallic name plate comes with each kit.